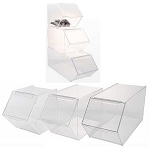 Acrylic Stackable bins will allow you to make the most of your counter or shelf space. 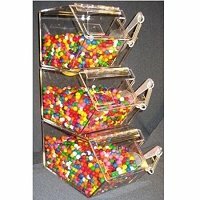 Whether you use these acrylic stackable containers for colorful candies or other small retail items you can't go wrong with stacking containers to show off your products. 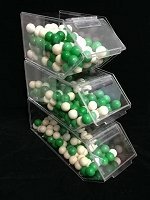 These stackable dispensers help you make the most of the space available. 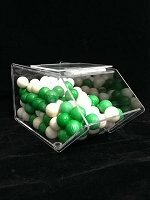 Placing several at the checkout is a sure way to increase impulse buying. 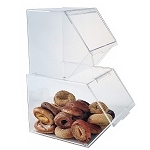 Clear acrylic containers will allow you and your customers to easily see the products on display. 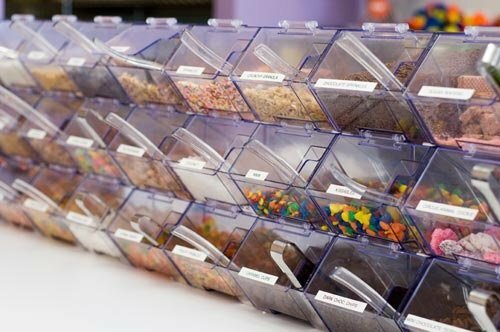 From mini bins to larger stackable bulk bins with scoops we can help you find the size that is right for your retail business. Candy Concepts has the perfect display rack to compliment your new stackable containers.